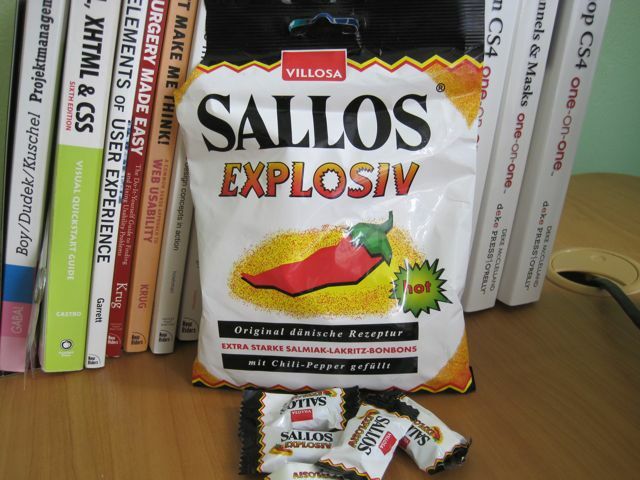 Sallos Explosive. If you live in a country where you can buy them (or something similar), please send them over! Sallos Explosive. Schickt mir welche, bitte, bitte, bitte (gerne auch normale Sallos)! Previous post: 30 Days of Me (22) – What makes me different?